George Stephens joined LSO in August 2004 as the Chief Financial Officer. Mr. Stephens’ responsibilities include directing all financial matters for the company, including monthly financial reporting, annual budget preparation and compliance reporting as well as strategic financial direction. He is the primary interface with the company’s lenders, insurance brokers, legal and accounting professionals. Mr. Stephens has 17 years experience in the transportation industry. Prior to joining LSO, he was the corporate controller of a $300 million publicly traded same-day transportation company, where his responsibilities included SEC reporting and Sarbanes-Oxley compliance. He was also the CFO of a one-hour delivery company based in Dallas, Texas. Mr. Stephens began his career with BDO Seidman LLP, where he spent 10 years and was a partner in the firm’s audit practice. He also spent 2 years with Ernst & Young, LLP in that firm’s Entrepreneurial Services Group. 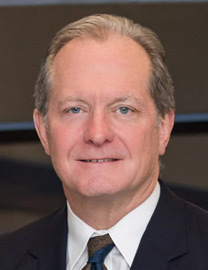 George earned his Bachelor's degree in Accounting from the University of North Texas.